Miguel Meza’s coffee journey started at the age of 13 and today he operates Paradise Coffee Roasters and Isla Custom Coffees. With a history of being a barista, roaster and green coffee buyer, Meza moved on to coffee processing and improving coffee quality in Hawaii. He is currently working with specialty coffee producers in Thailand and Vietnam and I chat to him about his work. Q: So, instead of working with the big guys – the African and Central American coffees, you work with Thai and Vietnamese specialty coffee. Why go against the “trend”? I don’t really care about trends. I care about making good coffee. I believe specialty coffee is about how the coffee is processed and not its origin. Anywhere that can grow coffee can make great coffee. And many of the origins that are so famous now really don’t have histories going back as far as one would think. Also what is the fun of going down the well-beaten path, of showing people great coffees from places they already expect coffees to be great? I like to work with unknown regions to show people that great coffee can come from anywhere, if love, intention and understanding are put into it. 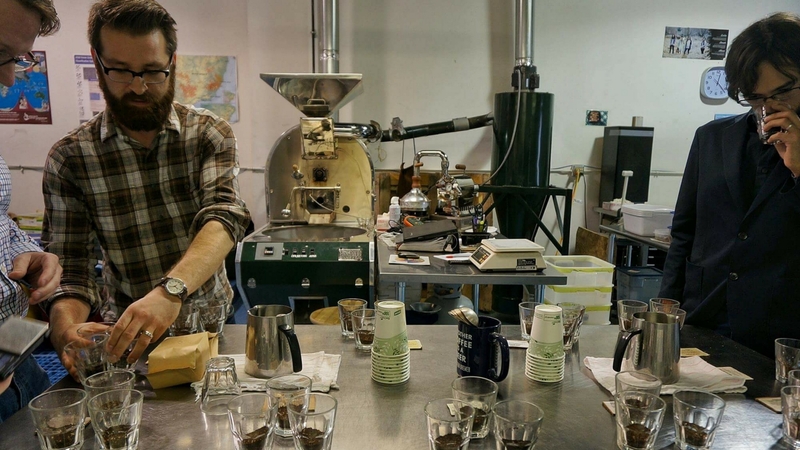 Q: Specialty Coffee is a process? What do you mean by that? What I want to highlight is that people wrongly assume regions that have a poor reputation for quality are incapable of producing great coffee. The best analogy I can think of is, it is like judging a roasters espresso based on drinks at a café with a terrible machine, no water filtration systems, untrained baristas, and customers who don’t want to pay more than $1 cup so there is no economic incentive to improve. It is only when you systemically improve all of these things that you can see what true potential can be. And well-handled coffees are always good. Q: There’s often a perception, particularly in specialty coffee, that this will be their “saving grace” and get farmers out of hardship and give them a better livelihood (ie. Rwanda), what are your thoughts on this? This is context specific, different countries have different situations. In Thailand, a 90% protectionist tariff on imported green beans mean that Arabica growers get good prices to sell to local market commodity supply chains. So the gains to growers may be more incremental. Since they already receive sustainable prices, they can afford to experiment more. But Robusta growers in the south of Thailand that sell almost all their coffee to instant coffee factories have a lot of potential gain. In contrast, Vietnam’s Arabica coffee growers generally receive a small price for their coffee. However its specialty coffee has the potential to attract up to three times the price of commodity coffee. For most growers I believe a diversified sales chain is best. No one should go out and put all their eggs in “specialty” and hope they can sell their whole crop. Most growers can’t take that risk. But if they’re interested, while maintaining other sales networks, they should start with 10-20% of their crop and increase this over time in line with market demand. Q: So the future for specialty coffee in Thailand and Vietnam is bright? Yes. If you look back at the last 15 years, Rwanda and Burundi have grown to become reasonably well known specialty coffee producing countries, alongside the introduction to the market of ripe picked naturals from Yirgacheffe and Sidamo, and wet-hulled low defect coffees from Sumatra. So it isn’t at all hard for me to imagine that 10 years from now, Vietnam’s washed Red Bourbon, Thailand’s Typica naturals and Microlot Ecuador washed Robusta as common to find in cafes around the world.